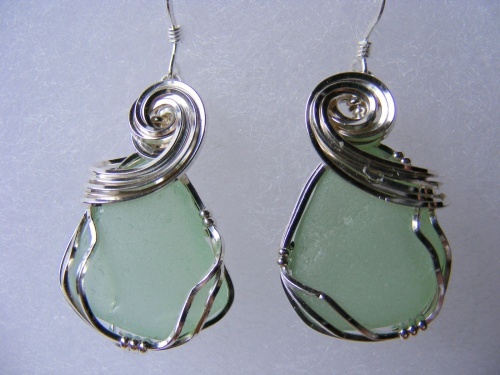 This pair of authentic sea glass earrings measure 1 1/2" from top to bottom. Come on earwires or studs please just place request of which is prefered in comment box. It is so rare and hard to find actual matching pieces of authentic seaglass to make a pair of earrings. I was estactic to get this true find. One of a kind and rare pieces. Hope you love these as much as I do.